City Galaxy Inn is a modern property with bright and tasteful interiors, situated in Sector 29, Gurgaon, above Hunter Valley. This property is close to Leisure Valley Park, Kingdom of Dreams and Subhash Chandra Bose Park. This property has a trendy glass faade and bright interiors. The in-house restaurant and bar are done up with materials like wood, stone and bricks for a warm and cosy feel. They feature stylish lighting as well. The rooms are tastefully furnished, have colourful wallpapers or murals and are well-lit. 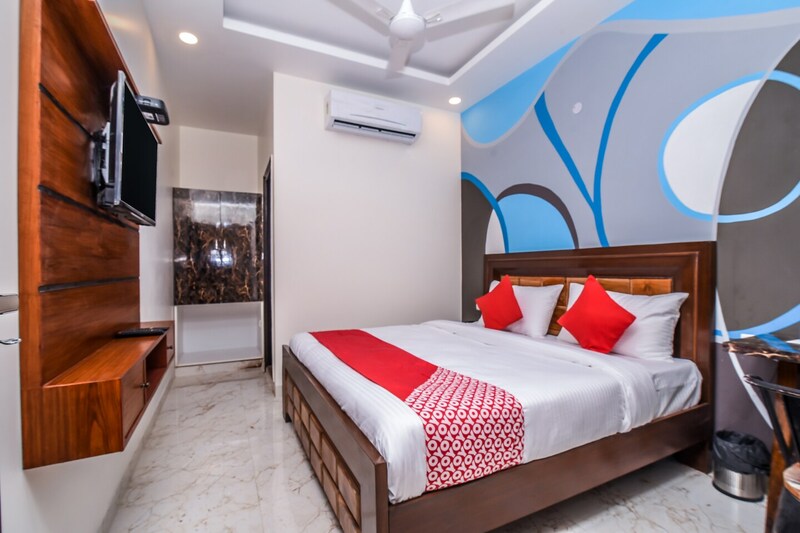 Each room comes with TV, AC, and the property also offers free Wi-Fi, parking, laundry services, CCTV coverage, power backup and card payment facility. Restaurants and cafes such as Hunter Valley, Jungle Jamboree, Mamagoto, Boombox Brewstreet and Feel ALIVE are close by.